Hopefully you've been careful with your credit cards this holiday shopping season, staying within your budget. Otherwise, you could be facing a painful January, when the bill arrives and your credit card balance has ballooned. CreditCards.com has conducted an analysis of consumers' existing credit card debt, breaking it down by states. 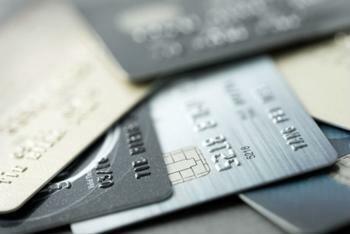 It found that Florida, Texas, Georgia, and New Mexico – all Sunbelt states – have four of the five heaviest credit card burdens. What makes a credit card debt burdensome is its relationship to your income. If you have a high monthly income, putting an extra $2,000 or so on your plastic might not be a big problem. But if you are living paycheck-to-paycheck, it's a very big deal. For the purposes of the analysis, the researchers measured the average credit card balance against the average monthly income in each state. In the southern states, credit card debts weren't particularly high, but neither were incomes. Take Florida, for example. Its average credit card debt is a respectable 18th out of the 50 states. But its median income ranks only 41st in the nation. "It's very hard to get out of debt if you're already stretching every dollar to pay for food, housing and other essentials," said Matt Schulz, CreditCards.com's senior industry analyst. Schultz says consumers with large credit card balances need to consider signing up for a credit card that offers an introductory period of 0% interest for as long as possible. While there are a number of cards now offering 21 months of no interest on balance transfers, they carry a 3% balance transfer fee. The Chase Slate Card stands out in that area. It offers a 0% introductory rate for 15 months, and, if you transfer a balance within the first 60 days the account is open, there is no balance transfer fee. If you are transferring a large balance, not having a fee can make a big difference. At 0% interest, 100% of your monthly payment will go to paying down the balance. Otherwise, a major part of the payment just covers interest, since the typical credit card interest rate is north of 15%. And speaking of payments, don't just pay the minimum amount due each month. A typical cardholder in Florida making just the minimum payment would take more than a dozen years to payoff a $5,603 credit card bill. While Florida has the heaviest credit card burden, CreditCards.com found North Dakota has the lightest.